Image from Care about refugees? Listen to them: results of a survey of Syrian refugees. Labour MP Jo Cox is to be commended for her efforts to build a comprehensive strategy for the Syrian war. For too long the Syrian people’s suffering has been ignored or dealt with in ways that do not lead to long-term resolution of this horrifying humanitarian nightmare. However, in her three-pronged proposal is a flaw that I believe could be fatal. She has admitted that Assad is one part of the twin horror, and yet her strategy includes bringing him to the negotiating table. Syrian civil society, which in spite of enormous difficulties and with seemingly the world against it, has maintained its presence on the ground and has established many autonomous governing areas as well as other structures for civil services. It has had to assume a political position since its own government declared war on the Syrian people, and during this time has become a political subject. It also has the enormous advantage of having gained its legitimacy on the ground. Assad has no legitimacy, either by the popular electoral process, which everyone can plainly see was in no way democratic, or more importantly, by criteria of political legitimacy. Any legitimate authority that some may have been willing to concede to this regime has been completely lost according to the criteria of Max Weber where the use of illegitimate violence against one’s people is motive for the loss of legitimacy. It is furthermore inferred in the Preamble of the UN Declaration of Human Rights that rebellion against tyranny is legitimate. 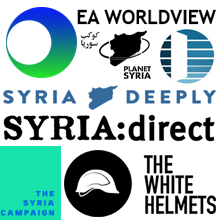 It is clear that continuing to include the party responsible for the system of oppression that brought about the protests of the Syrian civilian population in the first place, responsible for the nearly five years of bloodshed that have followed, and responsible for the abysmal failure of every peace effort, is not the way to succeed. Assad is not capable of contributing to a united and democratic Syria. He has invited other countries to fight on his behalf because he is under the impression that his power is destined to continue in some degree even if the war never ends. He has brought a global war to his country and has shown no ability to protect his country’s assets or population. To continue with the belief that he has to be negotiated with is only going to prolong the war. There quite simply is no viable political solution that includes the existence of the current regime in Syria to dictate terms or to take part in a solution. Such existence would not allow the masses, who have been mobilised for years now to bring about a free and democratic Syria based on social justice, to reach their objective. Any proposal aimed at a long-term solution should realise that a post-Assad period is a certainty. Placing any kind of trust in the regime and granting it negotiation powers, when it has never shown any interest in a compromise or shared solution, is a mistake. The natural interlocutors are the representatives of civil society who are willing, and indeed able, to come to assume the task of leading the diplomatic programme crucial to resolution on a long-term basis. It would be merely prolonging the suffering and desperation of the Syrian people to continue to insist that someone already defined as one of their horrors is considered as a valid negotiating partner. To appear to consider this person and his regime as legitimate could also mean difficulty in post-Assad relations. Please do not lose a historic occasion to truly end the war, stop the bloodshed, and contribute to a more prosperous Levant that sees the West as its ally, not an accomplice in its destruction and enslavement. Five Reasons Why Including Assad in a ‘Managed Transition’ Will Fail, by Dr Neil Quilliam, Middle East and North Africa Programme, Chatham House. Care about refugees? 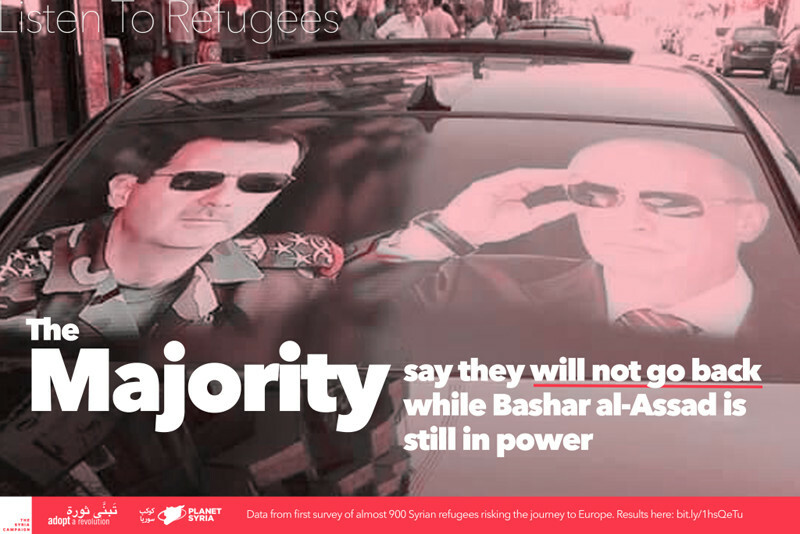 Listen to them: The Syria Campaign on an opinion survey amongst Syrian refugees in Germany, 9 October 2015. This survey interviewed 889 Syrians living in Germany between 24 September 2015 and 2 October 2015 using a standardised questionnaire. Interviews were held in 12 centres housing arriving refugees, other refugee accommodation and refugee registration points in Berlin, Hanover, Bremen, Leipzig and Eisenhüttenstadt. Researchers from the Berlin Social Science Center were involved in the conception, implementation and evaluation of the survey. British forces could help achieve an ethical solution in Syria, by Andrew Mitchell and Jo Cox, The Observer, 11 October 2015. What Diane Abbott gets wrong about Jo Cox’s proposals on Syria, by Alex Evans, Global Dashboard, 11 October 2015. We must remember that Syria is not Iraq—and build a plan for action, by Jo Cox, Labour List, 12 October 2015. “If we only focus on air strikes against ISIS we will fail to understand this conflict”, Jo Cox speaking on ITV News, 12 October 2015. UK ‘should enforce Syria no-fly zone even if Russia vetoes UN resolution’, report by Patrick Wintour, The Guardian, 12 October 2015. Speech by Jo Cox, 12 October House of Commons adjournment debate, Protection of civilians in Syria, video and transcript. 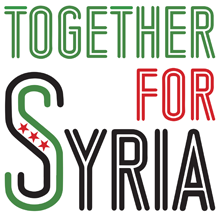 An ethical solution to the war in Syria: We support it, by Ashraf, Planet Syria, 12 October 2015.